Ella is one of the youngest individuals to be accepted into the design course at NIDA. Her design approach to storytelling is both painterly and cinematic. Ella combines the gritty with a classical aesthetic in theatre, film and live performance. Her work has been seen previously in After the End with The Kings Collective, and NAISDAʼs 40th Anniversary Charity Gala at Carriageworks. 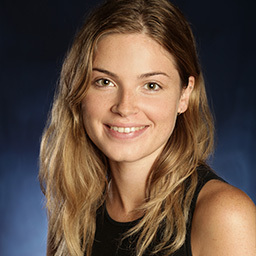 In her graduating year, Ella co-designed the set and costumes for Blood Wedding with Tough Kids Productions and production designed ABCʼs triple j music video Deep End by Eliza and The Delusionals, which aired on rage. 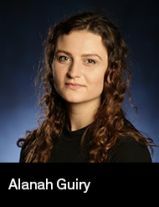 She also completed a secondment with Set and Costume Designer Alicia Clements at Sydney Theatre Company and the Hayes Co. Most recently at NIDA, she designed the set and costumes for 27 Wagons Full of Cotton, directed by Christopher Bond as part of the NIDA Director and Designer Graduation Productions 2017. Alanah is an emerging theatre director and poet. She has been immersed in the arts since her extensive ballet training in Melbourne, which ultimately led to her involvement in the Melbourne independent theatre scene as a director.